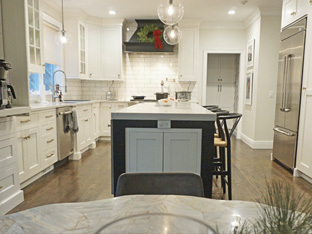 Project Assessment - We will offer our kitchen remodeling nj advice on feasibility, cost ranges, etc.. Kitchen Design - work closely with our award winning kitchen design staff to create the kitchen of your dreams. Preliminary Design - we'll give you a preliminary design and cost estimate allowing you to decide whether or not to proceed. Detailed Kitchen Design - we'll take precise measurements, and work closely with you through every design detail. Finished Construction Documents - we produced finished, professional construction documents for the installation contractor. 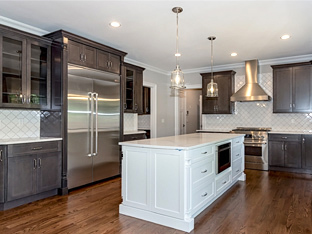 Installation Coordination - whether you are using your installation team or ours for your kitchen remodel we'll coordinate delivery and set-up of your cabinets, countertops and appliances. To learn more about our remodel services please call Yury at 908-964-7101, Ext. 17. 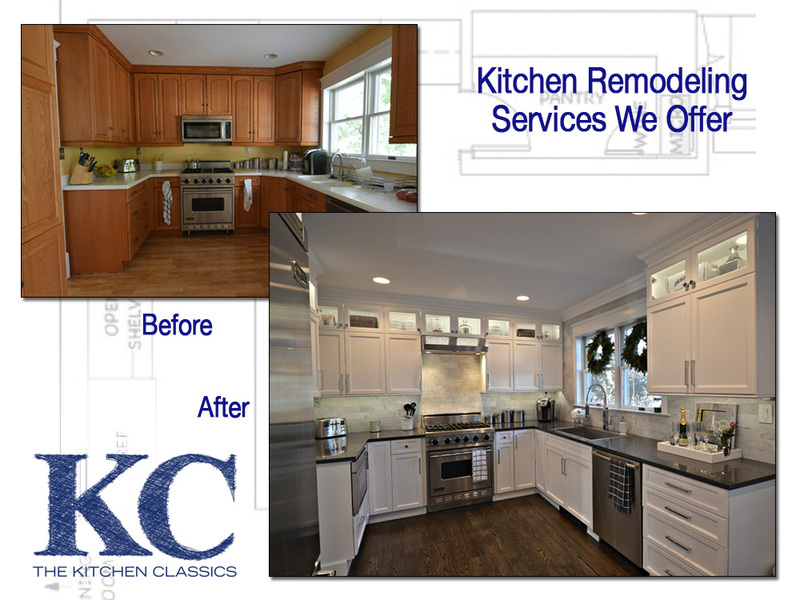 The Kitchen Classics is a full service kitchen remodeling NJ company. 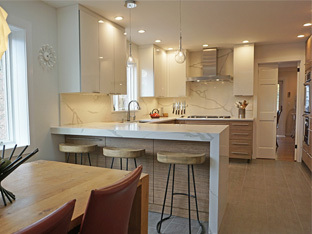 We offer kitchen design and installation services to homeowners throughout New Jersey, and southern New York. If you are a homeowner looking to remodel your kitchen we think our Kitchen Showroom is a great place to start. We have real world kitchen displays, and educational handouts that will really help you understand what is possible. Yury (Yuri) Slobodsky - our Senior Kitchen Designer with more than 30 years experience - will help you get started. Learn more below and when you're done Yury would love to discuss your project. Please contact him at 908-964-7101, Ext. 17. 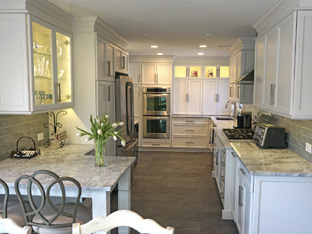 See the change from dark wood cabinets to a bright white theme in this Springfield, NJ kitchen remodeling project. 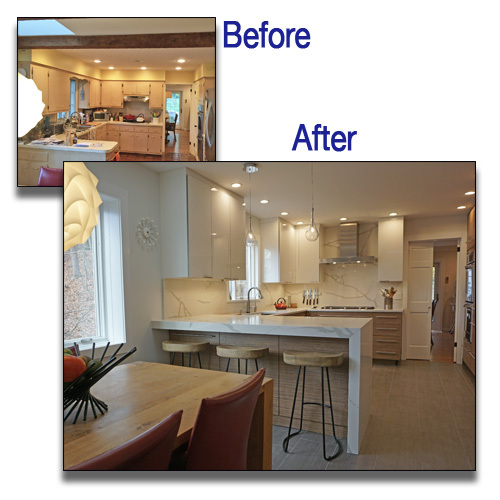 The new owners wanted to streamline and modernize their kitchen in this beautiful Westchester County, NY kitchen remodeling project. 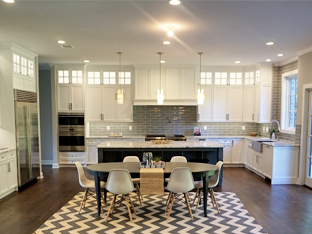 A family wanted a contemporary kitchen upgrade in this Union County, Jersey kitchen remodel project. 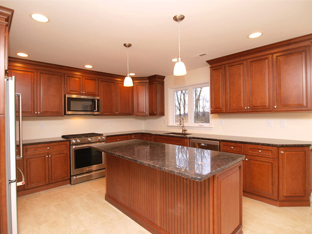 Not sure how to get started on your kitchen remodeling NJ project? Browse our Getting Started Guide. It includes a description of the remodeling process, step by step. 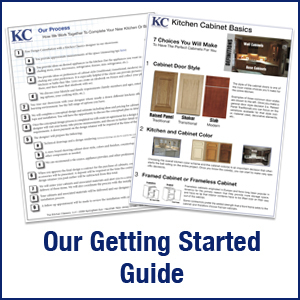 It also includes a quick lesson on the seven choices you'll make to select the perfect kitchen cabinets for you, and finally it includes a measuring grid with easy to follow instructions on how to measure your kitchen - a great first step to getting started. 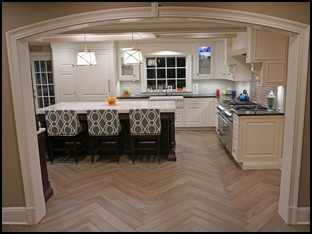 If you are looking to remodel your kitchen please consider Kitchen Classics of Vauxhall, New Jersey. 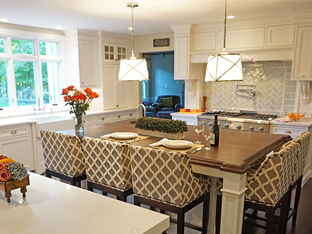 We bring over 30 years of experience, great design talents, a full line of cabinet and countertop choices and expert help on installation to every kitchen remodeling NJ project we are involved in. Start the process today by emailing Senior Kitchen Designer Yury Slobodsky here, or call Yury at 908-964-7101, Ext. 17. Through experience we have six cabinet lines that we enthusiastically design with and recommend. 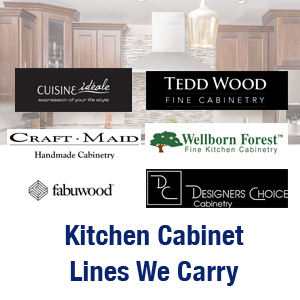 Learn more about our Kitchen Cabinet lines. Narrowing your kitchen cabinet preferences really can help get the whole process going. If you need help our Kitchen Showroom is a great place to start. Kitchen Cabinets are an important part of any New Jersey kitchen Remodel and we represent a full line of kitchen cabinet manufacturers. Some people wonder if all kitchen cabinets are basically the same - the answer is no. There is incredible diversity in styles, colors, quality among what are literally thousands of manufacturers in this country. Contact Our Senior Kitchen Designer, Yury Slobodsky, below!